This adventure tour offers you an amazing experience of the landscapes - the rice terraces - the colorful hill tribe people and their interesting culture, history, architecture and local life. After breakfast, you will drive north towards Cao Bang. Along the way you will make a stop at the historic pass of Chi Lang to get some history of Viet Nam then proceed to Lang Son. Upon arrival, pay visits to Tam Thanh pagoda - take a walk to the ruins of Mac dynasty - continue your scenic drive Cao Bang with stops at Dong Khe & That Khe town for more history of Vietnam during the Indochina War. Upon arrival in Cao Bang town, check in the hotel for refreshments. The rest of the day is at your leisure. Today you will take a scenic drive on the off-beaten track with lots of photo opportunities. Along the way, you will make stops at: Phuc Sen smithy village of Red Dao - Nguom Ngao Cave - Buddhist Temple on the top of the hill. Then proceed to Ban Gioc waterfall. Upon arrival, take a leisurely walk to the waterfall. Spend your time there as long as you wish. Afterwards board your car for your transfer back to the hotel. The rest of the day is yours. You may like to wander the streets and local market for more exploration by yourself. Up early - Breakfast - Board your car and head to Meo Vac. Along the way you will be fascinated by the stunning views of the lush mountains and hills. You may like to stop off at the hill tribe villages and markets for an in-depth exploration of the history, culture, architecture, and local life. Continue your scenic drive towards Meo Vac. Upon arrival, check in the hotel for refreshments. The rest of the day is at your leisure. Today you will head further into the rice terraces and hill tribe villages. Along the way make stops at H'mong King palace - tiny local villages - colorful markets - stunning sites. It will be the highlight of the trip. Upon arrival in Ha Giang town, check in the hotel. The rest of the day is yours. After breakfast, you will depart for Thong Nguyen. Upon arrival, check in the resort for refreshments and take a hike through the hill tribe villages - rice terraces - bamboo forests among the lush mountains and hills. During your hike, you may like to pay visits to the hill tribe families for an overview of the history, culture, architecture and daily life. Lunch is served at the local family. Afterwards return to the resort. The rest of the day is yours. Today you will take a scenic drive towards Bac Ha town, which surely satisfy all tourists’ needs! The drive will be made on the most winding road in Vietnam. Along the way you can stop at the local villages & stunning sites with lots of excellent photographic opportunities. In the afternoon you will arrive at the hotel in Bac Ha Town, where you will spend the night. Check in the hotel for refreshment then stroll around the area nearby. After breakfast, you will wander around the largest hill tribe market in Vietnam, where buffaloes, chicken, cats, dogs and all manner of vegetables are on sale, giving endless photographic opportunities. After the market, you will visit Hoang A Tuong palace, the residence of H'momg king - then Ban Pho village & Na Hoi village. Afterwards, board your car for your transfer to Sa Pa with stops at tea plantations and the Chinese border. Upon arrival in Sa Pa, check in the hotel. The rest of the day is yours. You may like to stroll around the streets for an overview of the night life in this mountain town. Today you will be transferred to Muong Hoa Valley – then hike along a scenic trail gradually descending to Lao Chai & Ta Van villages. During your hike you will have lots of photographic opportunities - meet & talk to Black Hmong, Red Dzao and Dzay people - pay short visits to local schools and local families. Afterward transfer back to the hotel. The rest of the day is yours. After breakfast transfer to the cable car station to take a 20 minute cable ride before taking an easy walk to the top of the Fanxipang Mountain for a marvelous view of the whole area. Afterwards return to Hanoi by road. 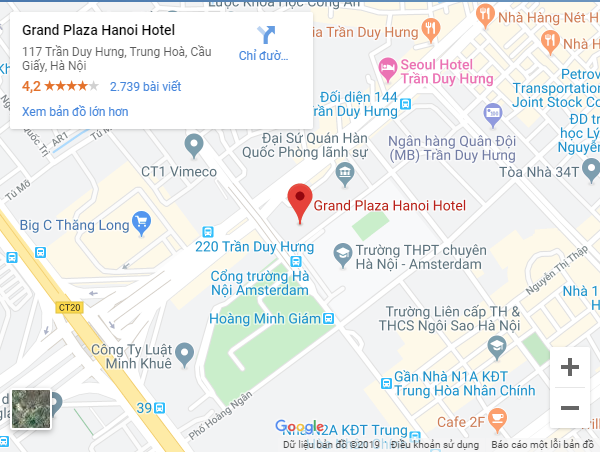 Upon arrival in Hanoi, check in the hotel. The rest of the day is yours.